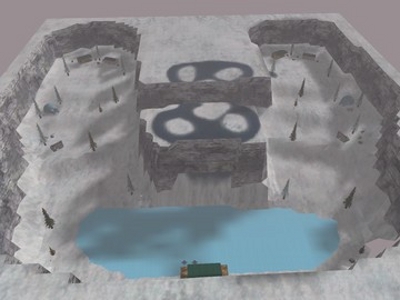 Description: A medium sized map that is set in winter. Thank you to all Players who attended Event Horizon Session #31. Winder Pass is a surprisingly fun Map to play reminiscent of, (but in no way similar to) Sidewinder, which supports most Game Types. At first the default Speed Hack setting takes a bit of getting used to, (and some of the Weapons are a bit Overpowered) but nether the less what an awesome Session this proved to be lasting 3 Hours+, (with 16 Players for the Majority of the Event) and which probably could have lasted longer. 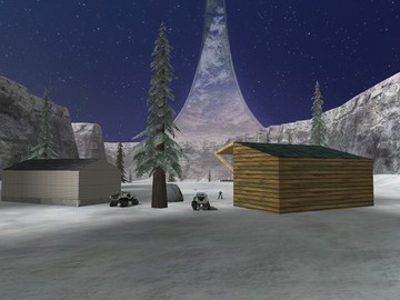 Winder Pass is great Playing on Team Slayer, and Game Play definitely improves with 16 Players, (although it can be played with less) but equally CTF, (but definitely NOT the Assault Variant) Koth and Race also all equally work very well too. Personally I enjoyed playing Winder Pass, with it being a Map that seems can be played over and over again without becoming boring. Wtf, this was a terrible map Harb lol. The only thing I liked was the little axe thingy that could shoot rockets.